Camping in nature is food for the soul, there’s no doubt about it! It’s refreshing at a deep level to spend a few days in the wilderness, forgetting the cares of everyday life and being at one with the earth. However, today more than ever before, there is a need to take care of the environments that we choose to spend the night in. Being mindful while we camp is necessary at ensuring that our effect on the surroundings is positive, and leaves little influence on nature and the wildlife that lives within it. Before you even embark on your adventure, consider the footprint you’re making. Reducing CO2 emissions is as simple as limiting the number of vehicles you use for your trip. If you’re going with a big group, take one big car, or two smaller ones, rather than each travelling in their own vehicle. Obviously you’ll need to transport camping gear so one car may not be enough, but this can be arranged in a sustainable way with a little prior planning. It’s also a great idea to choose locations that are closer to home, which is an easy way to instantly reduce your footprint. Another alternative is to calculate the emissions created through your journey and offset them with a reputable carbon offset program. Reducing food waste isn’t difficult… It just requires a little more thought into what you’re going to eat and only taking what is required. The main goal is to try and avoid creating too many leftovers that will eventually end up in landfill. One way to go about this is to create an agreed food list for your group and let one person acquire it all. This way people aren’t going to be bringing extra supplies by accident. Each person could make a dish or two for the group in advance of the trip, freeze it and heat it later. Bringing a cool box or two packed with ice blocks will help to keep everything fresh and avoid any spoiled food! Just as you likely do at home, plan to organise your rubbish in an eco-friendly way – or try not to bring any at all. 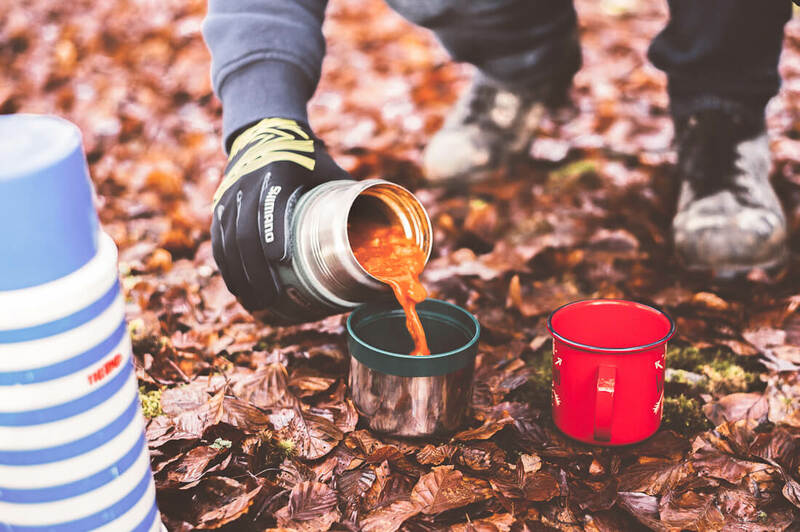 You’re bound to have a small amount of trash after a few days camping, but as mentioned above, planning meals in advance will help to limit this. Never leave anything behind; even leaving your rubbish in the bins provided means that they can quickly fill up, and this encourages others to leave their rubbish lying around too. Wildlife can be at risk by it, or items can end up being spread around the area, taking years to degrade. It can be as simple as taking a few bags to sort your plastics, cans, papers etc. and return home with them so you can recycle them as normal. Instead of buying plastic cutlery and paper plates, take some reusable items and crockery from your home. These can easily be rinsed on site after you’ve eaten. 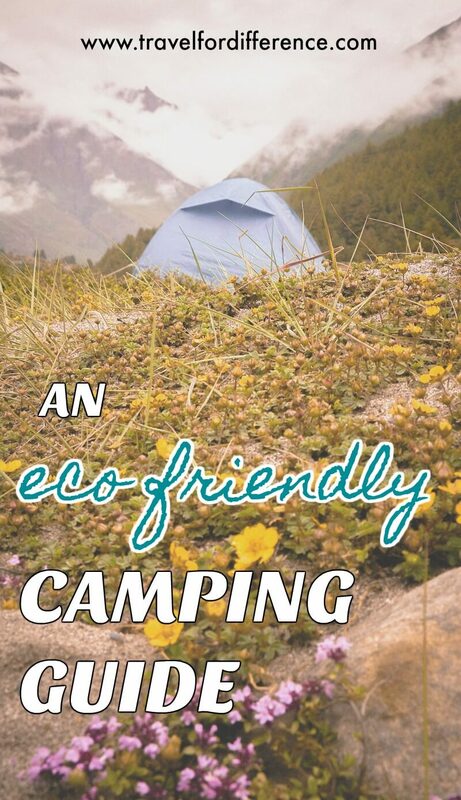 Buying your food from a bulk food store will also help to reduce your waste, as you can pre-package everything in your own containers before you go… Eco friendly camping at its finest! Campfires are one of the more enticing parts of a camping trip, and can even be necessary to keep warm. However, you should double check that campfires are even allowed in the first place, as starting a fire could have heavy consequences for both yourself and the environment. If you were planning to use a fire to grill food, consider using a portable barbeque instead. 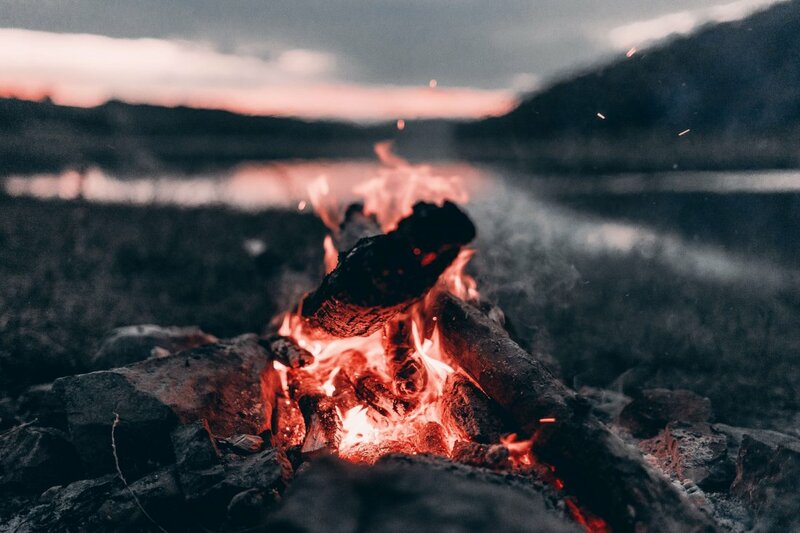 If you are going to start a campfire, do it in an area where it can be contained easily, and ensure you only use dead wood found on the ground (this should also be kept to a minimum if possible). If bringing your own firewood, be careful where you source it – make sure that it’s a sustainable source and isn’t harming the environment along the way. We tend not to pay much attention to our water consumption in everyday life. When on a camping trip, it becomes obvious how much we get through, and it can be quite a lot! When washing your dishes, stick with one bucket of water if possible. If you can, it’s best to bring a portable shower or use measured buckets of water to wash in. It’s as simple as being mindful about how much you really need, and by doing this you’ll have far less to carry in the first place. You’ll obviously need to take drinking water along, but rather than buying plastic bottles, take a reusable/filtered water bottle or fill a large container to take with you instead. It’s possible to buy one with a tap attached, specially designed for camping trips. Stay in the designated areas, follow the signs and always be conscious of your surroundings. Straying off the track can be damaging to the fragile ecosystems, can disturb the wildlife and can often destroy a lot of the natural flora. If you’re venturing out into nature, remember to treat it with kindness! Although it can be tempting to interact with the wildlife due to the novelty factor, please try to refrain. The more that animals become accustomed to human interaction, the higher the chances that they’ll become reliant on humans for unnatural foods that often cause them harm. It can upset the balance of their instinctive habits too. If you are taking any pets with you, make sure they aren’t able to roam around and disturb or attack the wildlife in the area. It is probably better to leave pets with a friend or family member at home. 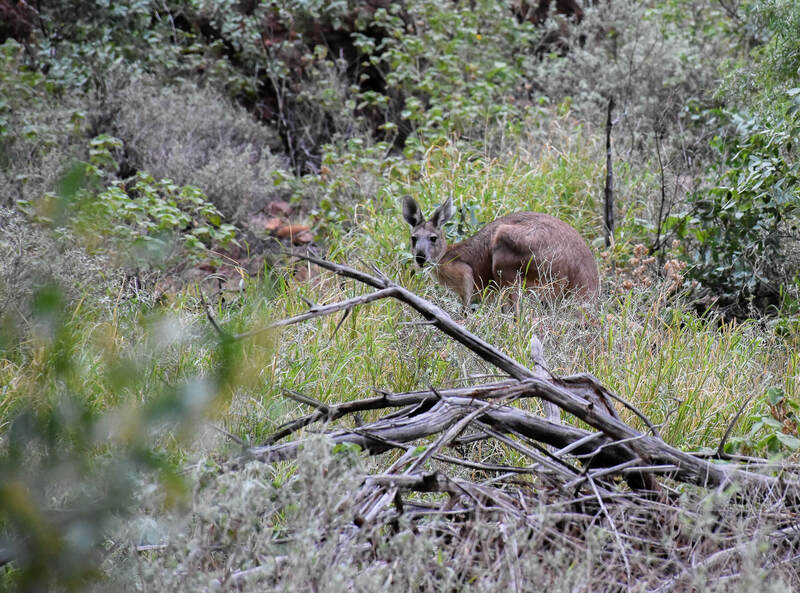 There may be many protected species in the habitat that you’re camping in, so it is kinder not to take any chances. Solar lamps, solar radios, solar showers and more! You can also now buy an item that can charge all your devices through the power of the sun… How amazing is that? When out in nature, the chances are you’re going to meet with a few parasitic insects that you’ll want to dissuade. You’ll also need some cleaning products, and when you’re washing your dishes, you’re going to have to dispose of that water somewhere… Probably on the land. Consider the impact of chemicals on the soil – If you use natural, organic products, the impact on the environment is dramatically minimized. 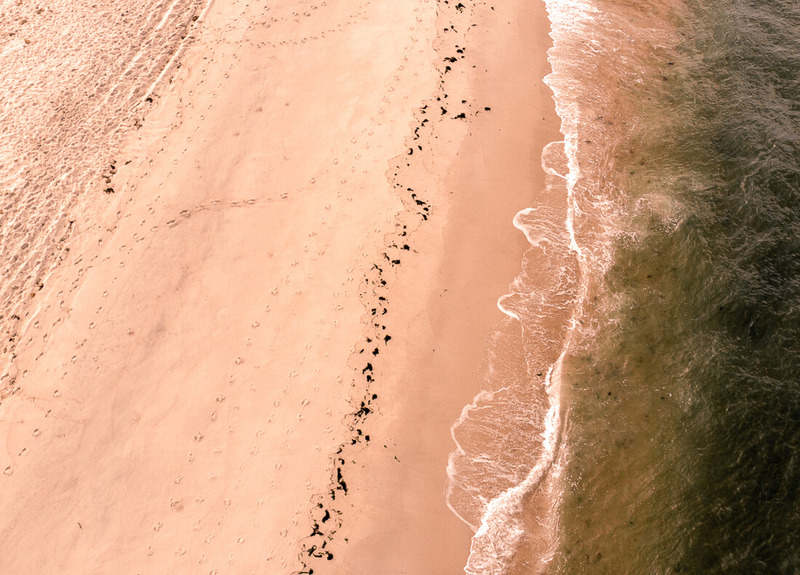 Even shampoos, soaps and sunscreen should be natural, for the same reason – if it washes into any streams or rivers, it can eventually cause a lot of harm to the ecosystems. Synthetic products often contain silicone and microplastics, which aren’t biodegradable, and plenty of cleaning and personal care products contain unhealthy chemicals like parabens and sodium lauryl sulfate (a toxic foaming agent) which can be very damaging. It would be remiss to allow such chemicals to enter the earth or the local water if you can help it. Don’t damage the environment, don’t disrespect sacred sights, don’t pollute, don’t vandalize and ALWAYS be respectful to the planet we call home. 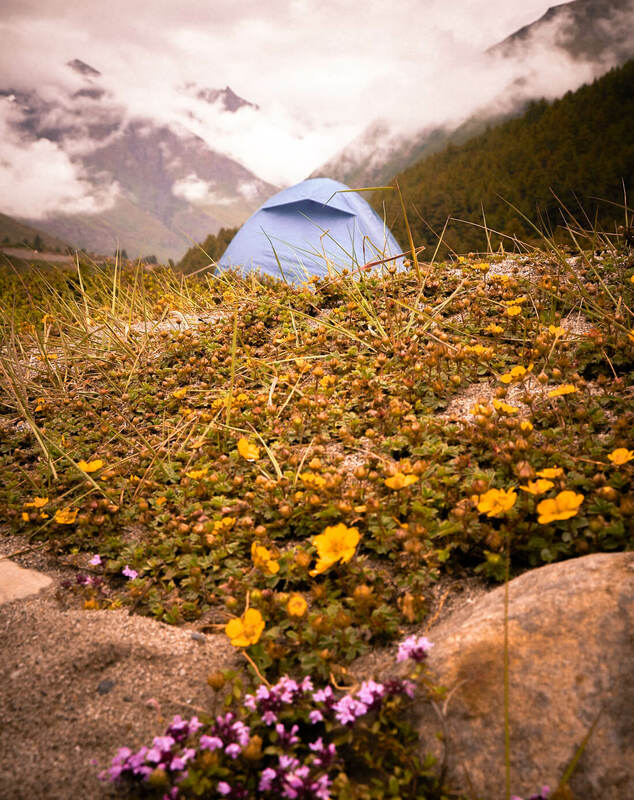 Sustainable camping comes down to being conscious of your actions and always leaving these beautiful locations exactly as you found them – it’s as simple as that! Cal Bailey runs Mountain Leon – a travel blog he started after two years of backpacking around the world. Have a read of Cal’s recent blog posts to learn more about his life on the road and view his informative guides.